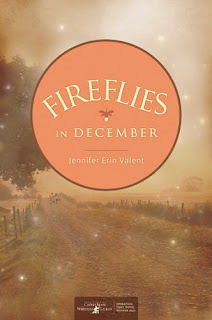 I just read Fireflies in December by Jennifer Erin Valent and it was so good. It is set in rural, depression era, Virginia and it touches on faith, a young girl coming of age, and faces head on the issue of racism and how complex that can be to see. If you are looking for a good read this week, pick up a copy, grab a cup of tea and settle in for a nice escape! This may be my next book! Sounds interesting. I love to listen to audiobooks because I have a 30 minute commute to work. Thanks for the tip! This sounds like my kind of book. Thanks for the review. I wish I were a faster/take hold sort of reader! Bellah, I am so glad to see your review of this book. I read another review recently, I think maybe it was in my latest issue of TWC (Todays Christian Woman) magazine. I remember thinking then that it sounded like something I would enjoy. Your review just confirms it. I have to pick up an order at my local bookstore tomorrow so I'll definitely be checking out Fireflys in December. I'm always looking for a good book. Thanks so much for the link. Thanks for the review- I just asked my dad to go and pick me up a copy-thanks again!!! We're reading this book in my book club this month. I can't wait to read it. Thanks for the review! My daughter(14) just read this and loved it.